Pop, soda, soft drink – no matter what you call it, there’s a new abundance of it on Mass Street. 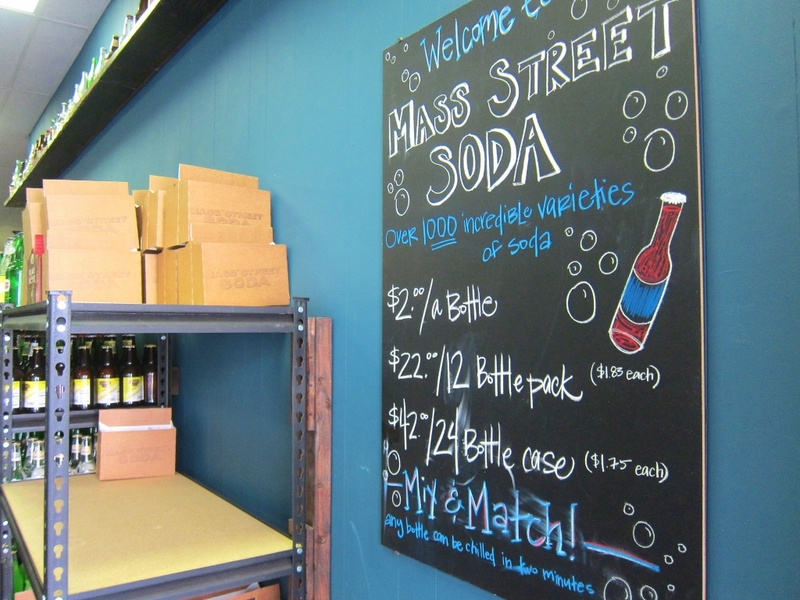 Mass Street Soda opened last month, and it is truly refreshing the popularity of this carbonated beverage. 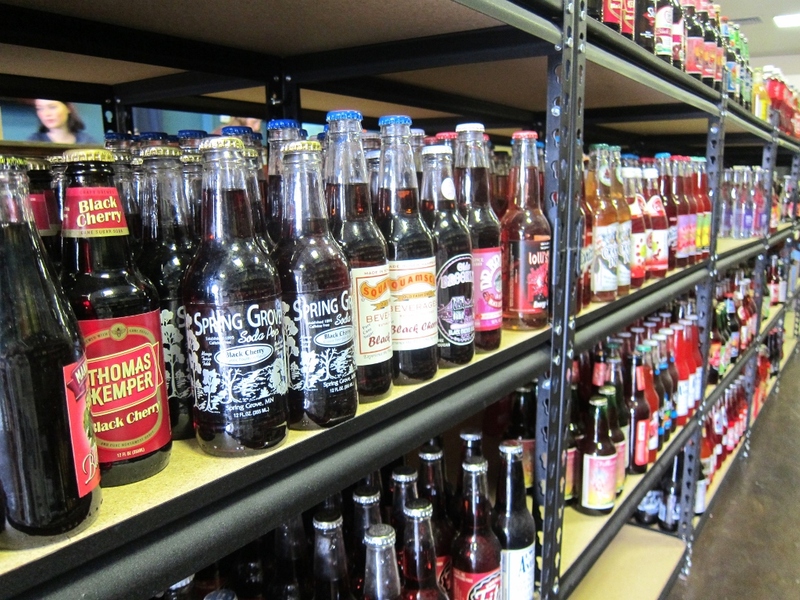 With over 1,000 varieties of soda it’s setup to satisfy almost any taste. The fam out front of the soda shop. Step in, grab a box, and fill 'er up. I’ve been to this soda shop a few times now, and still can’t get over the impressive amount of flavors and brands that can be found here. At just $2 a bottle, you can buy sodas as singles or multiple (deals for a 12 pack or a 24 pack – $22 and $42, respectively), and you can mix and match as you please! It’s the perfect arrangement because the commitment is low and the curiosity is high; if you pick one because it has a pretty bottle (yes, that would be me), and it isn’t to your liking, you’re only out one soda. Yes, it's a little overwhelming. The colors, the flavors, the names... !! 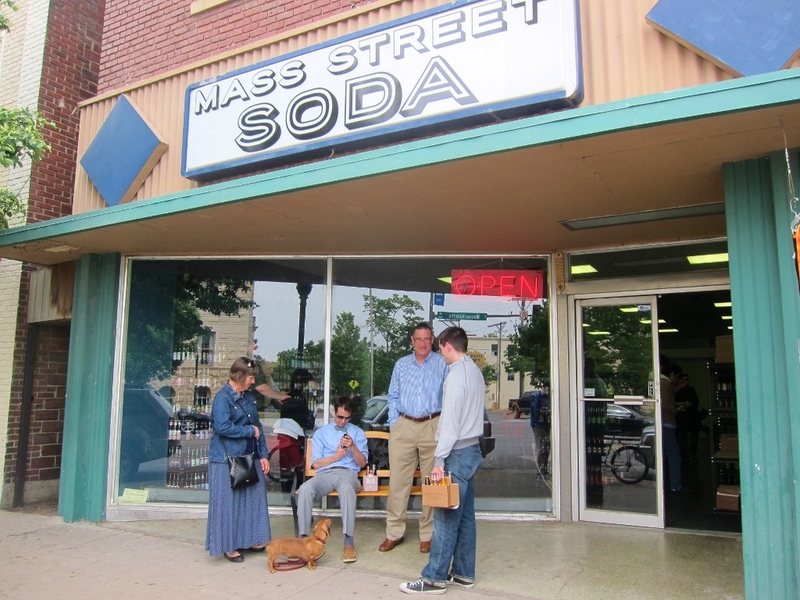 With my family in town last weekend, we stopped in Mass Street Soda for some fun. Only intending to browse – and maybe pick up a bottle or two – we ultimately walked out with a dozen. The endless flavors, and colorful label designs, were just too enticing to pass up! My parents were pretty tickled to find sarsaparilla soda (which they had seen in the Western shows they used to watch), and I enjoyed finding the odd flavors and unique bottles around the shop. 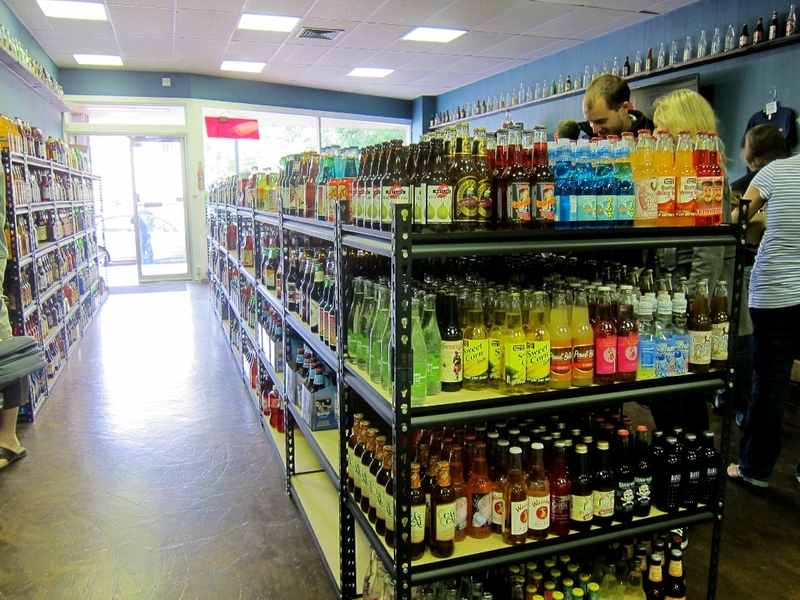 While the sodas aren’t previously cooled in the store, you can certainly get them chilled as you check out. 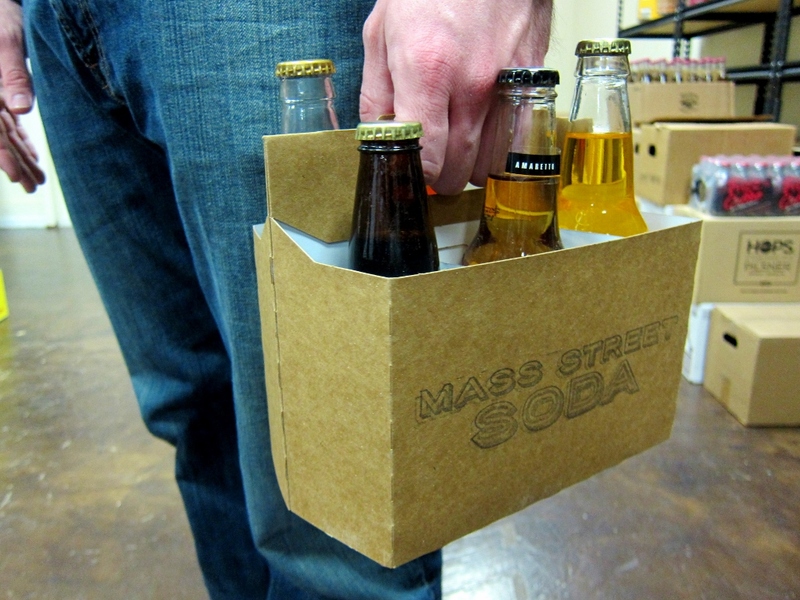 Mass Street Soda has a gadget that can chill your soda in just 2 minutes! A few other details to note: they recently created an FREE application for download so that you can rank your favorite varieties (ideal for avoiding frustration when returning to buy more); and they also offer gift cards (such a neat idea)! 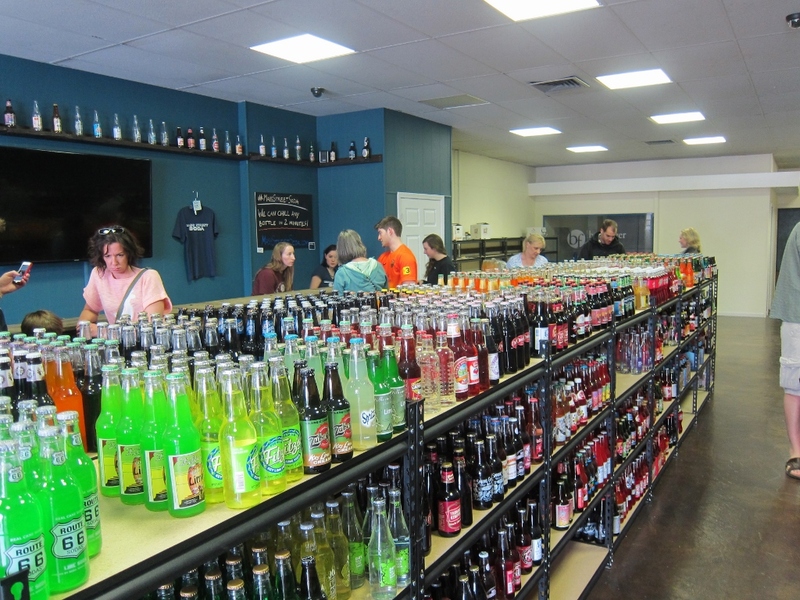 Mass Street Soda is a great stop for the whole family. And how cool are the six-pack cartons? One of our favorite brands so far is Capt’n Eli’s (they have a rockin’ blueberry pop, and the orange is equally as tasty). 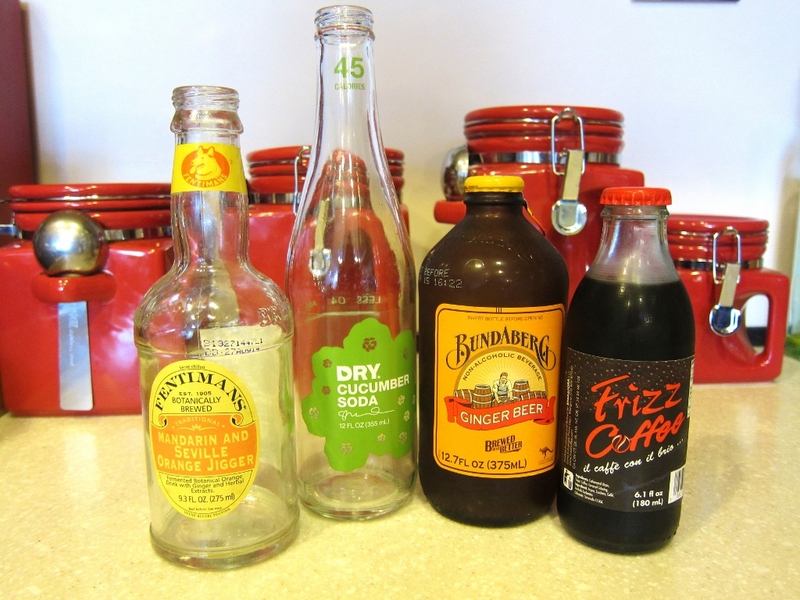 Also, on my recent visit, I was intrigued by the “Frizz Coffee” soda that came in a mini 6oz bottle. It was simply delicious (four ingredients: carbonated water, sugar, coffee, and caramel coloring), and would be excellent with ice cream. 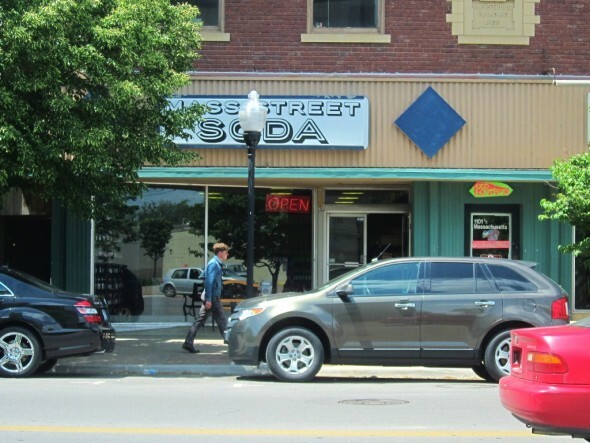 Overall, Mass Street Soda is a fun and inexpensive way to explore tastes and appreciate pop. What’s more, it has added a sweet nostalgic feel to Mass Street, have you noticed? Seeing folks strolling downtown as they enjoy a cool bottle of soda is nothing short of serendipitous. A few random examples of our take-homes. Don't mind the empty bottles; we couldn't help ourselves! This entry was posted on Sunday, May 25th, 2014 at 5:24 pm. It is filed under Businesses and tagged with shopping, soda. You can follow any responses to this entry through the RSS 2.0 feed.